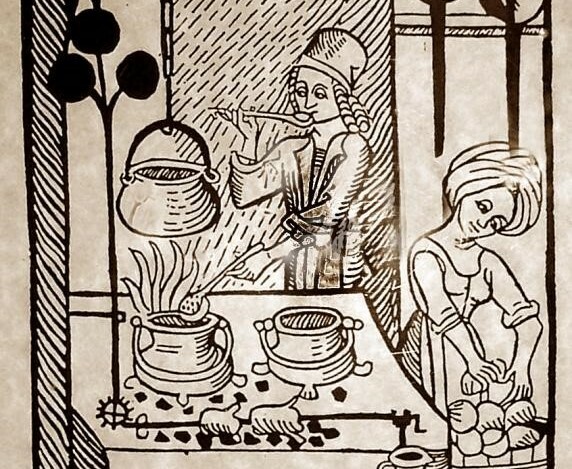 Medieval Feast Sunday 15 May 1 – 3 p.m.
As part of the Shaftesbury Food and Drink Festival on Sunday 15 May, Gold Hill Museum volunteers will be turning the clock back to the Middle Ages. 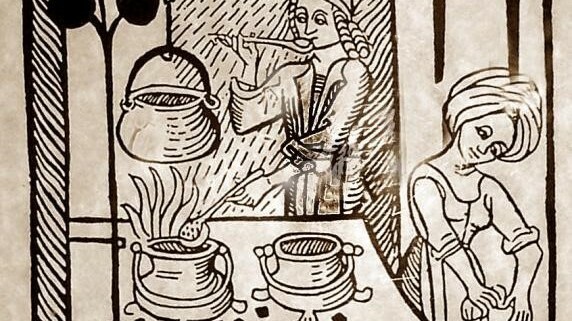 In period dress they will be offering visitors, especially accompanied children, sample tastings from the dinner table of seven hundred years ago. So why not follow the cheese races up Gold Hill with a visit to the Museum’s Garden Room and turn your hand to making medieval bread and salads, and other crafts? The event runs from 1 to 3 p.m. and is free, though donations towards the cost of ingredients will be most welcome.